. ©The Sterling and Francine Clark Art Institute, Williamstown, Massachusetts. Once upon a summertime, a long time ago, a young man entered a chapel. The chapel he entered was in Italy, in a hill-town called Arezzo. This was a modest chapel indeed, in a modest church, that of San Francesco. A lovely soft light was there. Everything around the young man dissolved completely in the presence of the beauty of the art of Piero. How the young artist felt, thought, lived would be changed forever. Many years later during wintertime, an older artist was invited to join a small group of people in a large city called New York. They had come to look at some seven paintings gathered on the walls of an intimate circular room at the end of a central rotunda in a splendid museum that had once been a mansion. The museum is The Frick Collection. Everything around the artist dissolved completely in the presence of the beauty of these seven paintings of Piero della Francesca. How the older artist felt, thought, and lived had been changed forever. 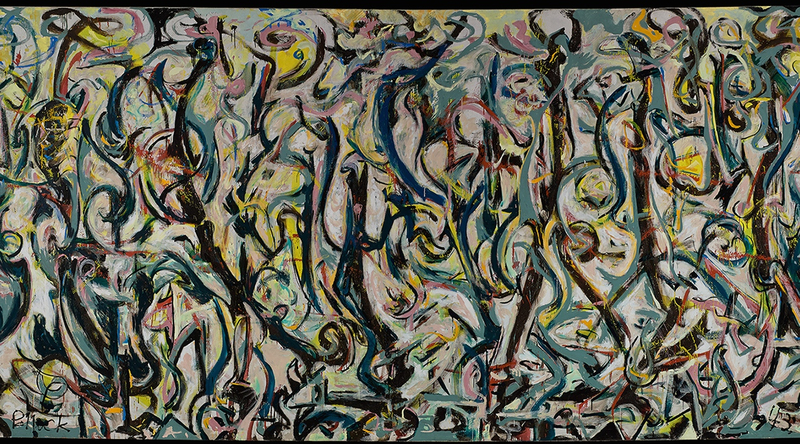 One morning, between the two times, the artist was bicycling his way to teach at an esteemed summer school in the Catskill Mountains of New York named the Art Students League. Along the way, he stopped, as a few times before, for orange juice and coffee at the home of a friendly and wonderful artist named Philip Guston. Over toast, Guston opened his mail and expounded on the wonders of Piero della Francesca, his beloved Italian Renaissance painter. At the present time, through May 19, 2013, it will be possible to have the rare experience of being able to visit, in America, the great beauty of some seven works by Piero della Francesca at The Frick Collection (a lovely, quiet place). Six of the works are from American public collections. One work is from Museu Nacional de Arte Antiga, Lisbon. Much of Piero’s life and travels are matters of quiet conjecture. In a sense, he was what might be called today an independent or an artist’s artist. His identity and the character of his art were not centered on the artistic and political pressures of Florence, Siena, and Rome. In general, if one were to see him or his art, that would have been in Arezzo or Urbino or Rimini or Ferrara or in his hometown and birthplace, Sansepolcro. He was always a Tuscan at heart, literally living on the edge of Umbria. Surely, that special place contributed to Piero’s independent mindset and as an enabling freedom to create his distinctive art. There are—somehow—aspects of Piero’s personal life that may be slightly more known. He was probably born in Borgo San Sepolcro and he died there. His date of birth was probably sometime between 1412 and 1420. He passed away, blind, on or about October 12–14, 1492 (a date and year we in America remember for other reasons). 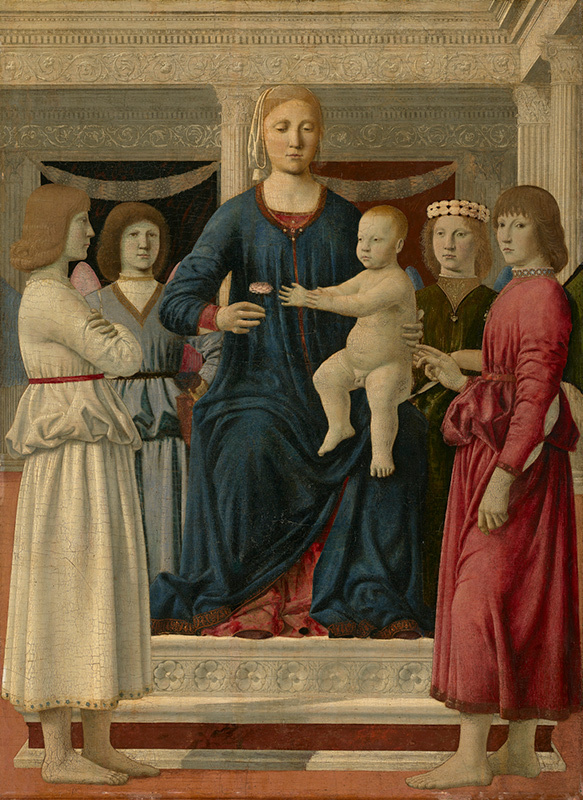 Piero della Francesca (1411/13–1492), Virgin and Child Enthroned with Four Angels, c. 1460-70. Oil (and tempera?) transferred to fabric on panel, 42.4 x 30.9 inches. ©The Sterling and Francine Clark Art Institute, Williamstown, Massachusetts. 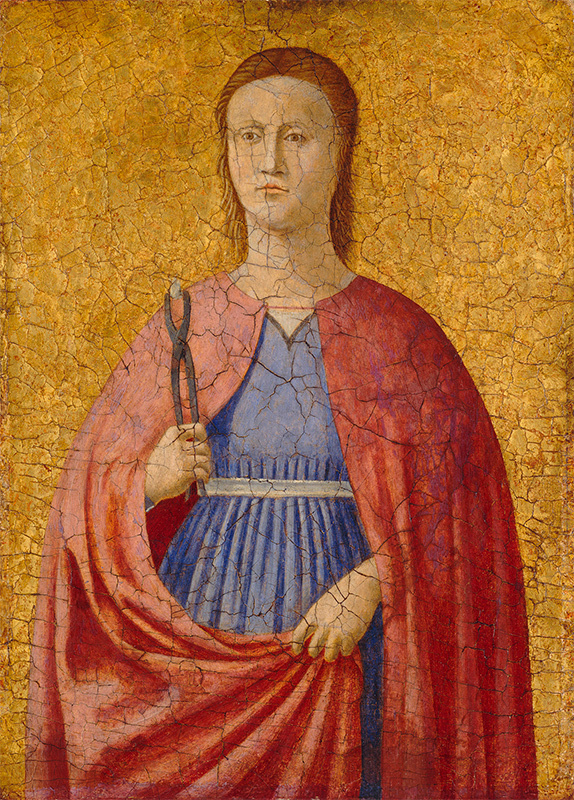 Piero’s only formal studies, as an apprentice, were with a very local artist, one Antonio di Giovanni d’Anghiari. 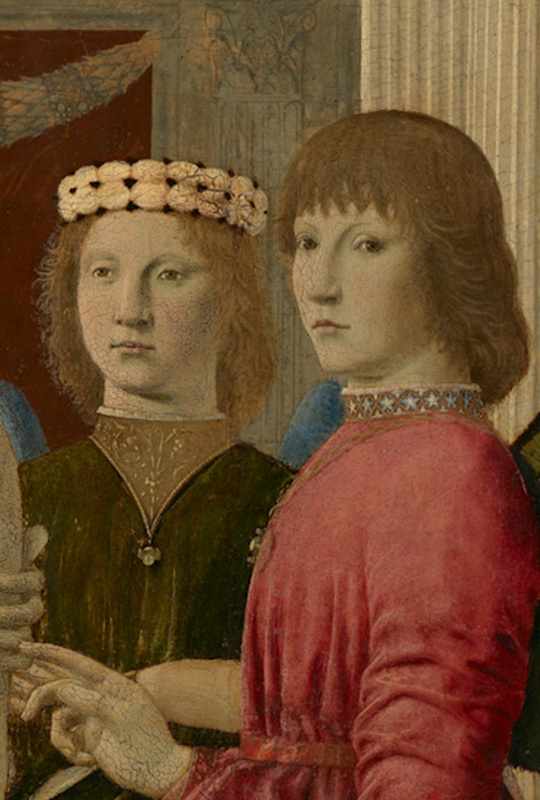 Somehow, he and the artist Domenico Veneziano found their way to Florence in 1439. There he assisted with frescoes at Santa Maria Nuova. Those frescoes are now lost. Piero returned home to Sansepolcro. Several excellent commissions followed in nearby cordial and accepting hill towns like Rimini and Urbino with their respectable dukes and duchesses. Ever onward, sometime around 1450 or so, Piero painted a large fresco at the Vatican Palace in Rome, which Pope Julius II ordered painted over and replaced by the ever-popular Raphael, whose art has since occupied that same spot. Piero della Francesca again returned to the hills, this time to the town of Arezzo.
. National Gallery of Art, Washington D.C.
Now we have arrived at 2013 and The Frick Collection has somehow made it possible to experience some of the joy of Piero della Francesca, close at hand and close up. However improbable, this is the first and only time that an exhibition of Piero has taken place in America. All seven works in this exhibition were created for his hometown, Borgo San Sepolcro.As is always the case with Piero, the art, the visual and emotional experience of it, is there right away. No anecdotes, texts, historical perspectives, or knowledge of religious wherewithals are necessary; the art is accessible first as art. The rest, the ostensible subject matter can come later, if one wishes for or needs it. It is as though, on some deeper level of feeling and understanding, that is finally the nature of art; not picture-making, not illustration, not merely artistic. Dissertations on Piero and the device of Italian linear perspective do not suffice. For Piero, there is no point in trying to get to Saint Apollonia without encountering the art first.Color, composed space, picture plane integrity, the needed alterations to direct observation, visual idealism, the presence of a created object; these aspects are all there right away. Whatever the “subject” line, Piero never permits it to interfere with the sheer elegance and beauty of his art. His Saint Apollonia is actually holding a tooth! The late art historian Roy Sieber once said to me that he believed that for Piero della Francesca, what the subject was finally about was an excuse or rationale for creating art leading to a deeper, more ideal experience. Have a look at a profile, the shape and color of a garment, the arrangements and composition and values of colors (including the sometimes application of leaf into shapes), the abstract overlay of shape over foot in Saint John the Evangelist, the location of reds in The Crucifixion. No imposed liturgy, theatricality or melodrama here; just the drama of art, fulfilling itself in its own terms. As with all of Piero’s work, there is no distraction or fascination caused by the individualization of facial imagery. They are completely idealized, of one configuration, all from one family. Once again, beautiful. Now keep looking at everything. Through all of this, the beauty with which Piero sings his song, the song itself, the many meanings of his art, are felt and grasped. Access to the art itself is made possible, directly. In our time, the art of Piero della Francesca is truly loved and admired. During the past one hundred or so years, with the advent of travelling quickly with ease, and during some intermittent peaceful years, the Tuscan and Umbrian hill towns and their art were rediscovered by some and also discovered by many others. Piero’s art and its spirit were taken to heart by many, many artists of newer generations. So, here was an artist (from the Italian Renaissance, no less) who was about what we are about! That young artist mentioned at the earliest part of this writing, not long after that early journey, rented a small studio in this New York City, on the Lower East Side. He chatted with older and very wise artists who easily and openly expressed their gratitude for Piero’s legacy. And he never forgot what he continued to hear later, over orange juice, toast, coffee and mail during a bicycle ride to teach at the Art Students League one summer morning in the mountains of New York. Piero’s spirit resides in the spaces of so many artists’ studios and art. 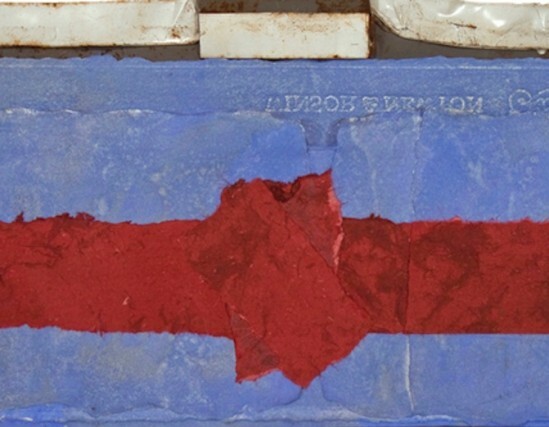 Piero helped to clarify the nature of art—art as art—whatever else it may also be doing. Go see Piero della Francesca in America at The Frick Collection. It is at 1 East 70th Street, any or all of six days a week, 10 a.m. to 6 p.m., Tuesdays through Saturdays, and 11 a.m. to 5 p.m., Sundays. It is also possible to catch a glimpse here. And if you can, also go to Arezzo.